The freelance life can be awfully funny. For more than a dozen years, I’ve traversed this land of pitching, writing, copyediting, blogging, and ghost writing. I’ve verbally agreed to take on freelance work, shaken hands, submitted invoices, and crossed my fingers. I’ve met my fair share of companies I like to work with and others that just didn’t work out. It’s part of the game. 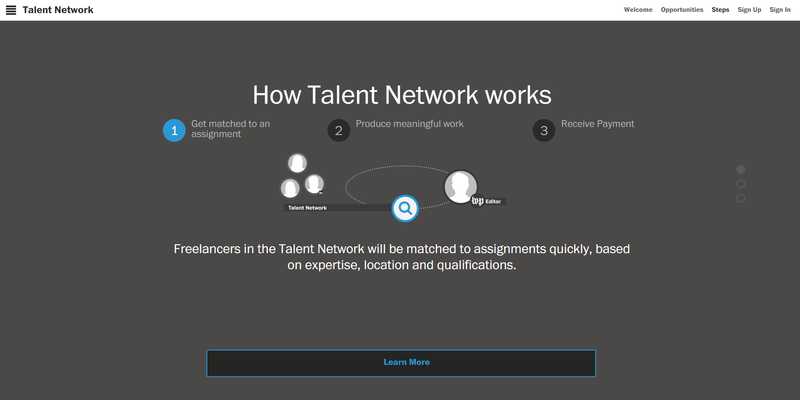 So when The Washington Post – my hometown paper – launched this summer the Talent Network, a new platform meant to connect freelancers with newsroom editors, I got excited. Here’s an opportunity for freelancers across the country to get matched with an assignment, produce meaningful work, and get paid. The whole process is supposed to be relatively painless. At least, that’s what the folks behind the Talent Network aim for. Freelancer profiles, detailing professional experience and expertise and including work samples. Freelancers can import information from LinkedIn to save time and effort. Story pitching, allowing freelancers to tailor ideas to every department and for individual editorial initiatives, including blogs. Location tracking, ensuring Washington Post editors know freelancers’ primary work locations, allowing quick deployment for breaking news. 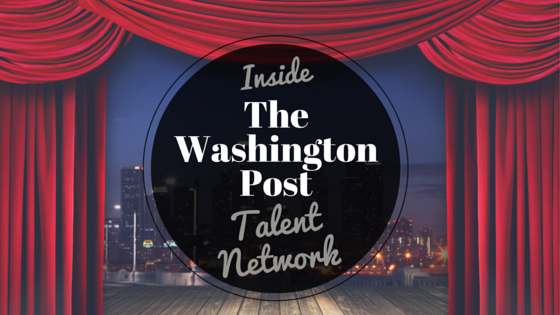 We got to speak with WaPo director of strategic initiatives Jeremy Gilbert, who developed the platform in collaboration with Greg Grieff and Jessica Witmer, with the Post’s engineering department. So you guys launched in June. How’s it going? We love how the network is growing and being used. Freelancers are learning from our editors about what kinds of stories to pitch, editors are getting comfortable making breaking news and enterprise assignments and we are continuing to develop new features for the platform. I know you can’t give specifics on numbers of people/freelancers looking to join your network. But, has the pool of applicants/inquiries met your expectations? We’re pleased with the number of people interested in working with The Post, and the quality of the freelancers applying is astounding. We have been able to maintain vigorous standards and still dramatically grow our pool of available journalists. Is there a shelf life for being a member of the Talent Network? As in, is there an expiration date or are freelancers kept there indefinitely? As long as the freelancer’s contributions meet our expectations they can continue working for the Talent Network indefinitely. I read that you recommend freelancers include three to five clips of their most recent work to be considered for working with the Post. Are those instructions concrete or can freelancers include more? We welcome freelancers to submit the number of clips that show the breadth and depth of their abilities. But we screen freelancers submissions closely before admitting anyone and including lots of extra clips may slow down that process. Are you mostly looking for active freelancers and journalists or would you be open to former journalists who may have been laid off from newsrooms in the past? We are open to all kinds of journalists. Long-time professionals and promising students have all applied. We welcome anyone with professional clips to consider applying — if they think their reporting, writing, photography, videography, etc. … is up to The Post’s standards. Would bloggers make the cut? We don’t differentiate bloggers from other kinds of journalists. If you can report and tell a story that is what we’re looking for. Have you guys worked out all the bugs with regard to launch? Nothing is absolutely seamless, but we are relentless about improving the user experience for both freelancers and editors. We are constantly trying to find ways to make it easier, faster and better. How much does the Post rely on freelancers/stringers for stories? Freelancers are an important resource for The Post. They help cover breaking news, add to breadth to our coverage and assist full-time reporters with their stories.